J.F.D. Landscapes, Inc. was founded in March 1989 as a full-service landscape company servicing Northeast Ohio. Our offices are located in Auburn Township on East Washington Street approximately 5 miles east of Chagrin Falls. This allows us easy access to most Northeast Ohio communities. Our Maintenance crews are currently servicing clients from Mentor on the Lake to the North, Hudson to the South, Lakewood to the West and all of Geauga County to the East. Our installation crews work in most Northeast Ohio communities within a 25-mile radius of our shop and office. We have won numerous awards for our work. We are active members of local, state and national professional organizations. Our president, Joe Drake, served as President of the Ohio Landscapers Association for 2001 & 2002. 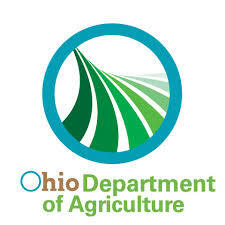 We carry all licenses as required by The State of Ohio and other governmental agencies including Ohio Departmental of Agriculture Commercial Pesticide License. We are fully insured with over $ 3,000,000.00 of liability insurance. All of our workers are covered by Workers Compensation. Copies of all licenses and insurance are available upon request.